How to draw Magneto, Erik, from X-men. 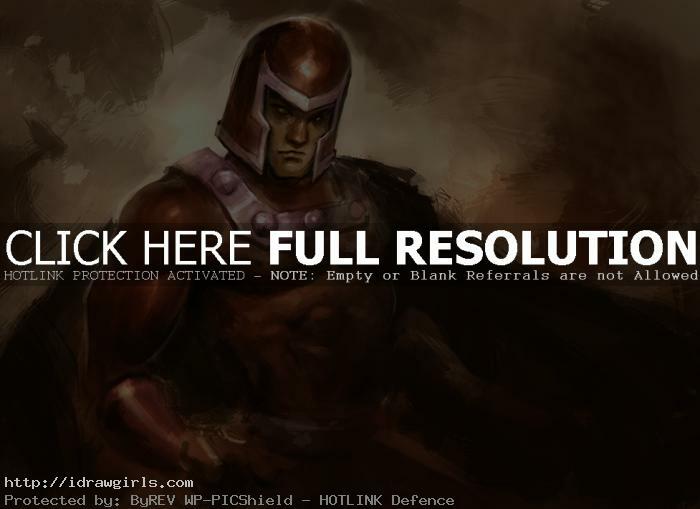 Learn to draw comics character Magneto from video tutorial and step by step images with instruction. 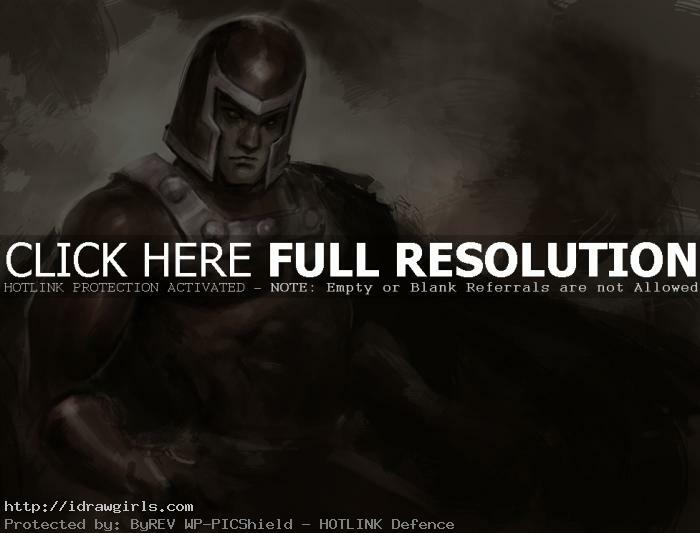 In this tutorial, you will learn to draw a muscular male superhero character from Marvel comics Magneto. You will get to watch a how-to video lesson start with loose sketch to finished drawing then digital coloring or painting. You will learn how to draw a face, man’s body and muscle anatomy of the upper body. This drawing I am leaning toward a more conceptual art painterly style than a line drawn comics style. Learn to draw and paint characters, creatures, and environmental concept design with tips from a professional concept artist and illustrator Xia Taptara. Magneto possesses the power to control all forms of magnetism. He can shape and manipulate magnetic fields that exist naturally or artificially. It is unclear, however, whether he must draw magnetic force from outside himself (if so, then he can do so over vast distances), or whether he can also generate magnetic force from within himself. Nor is it clear whether Magneto’s power is psionic or purely physiological in nature. Magneto’s power is, for all practical purposes, limitless. 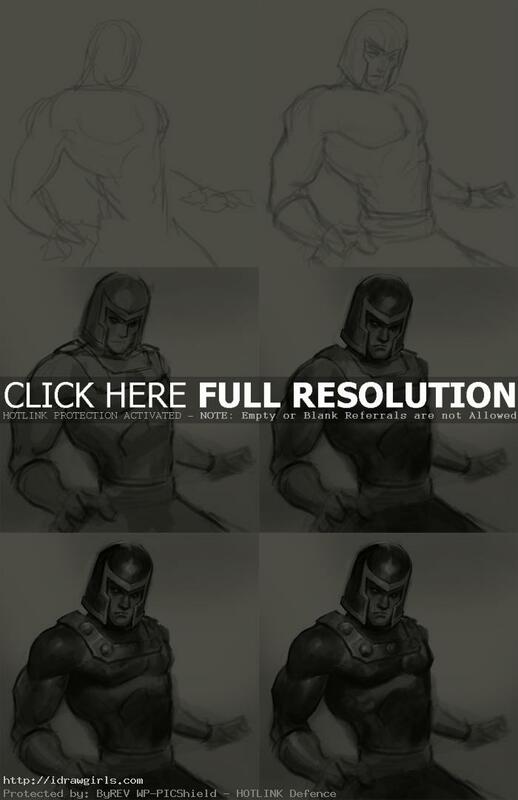 Below are step by step images drawing and painting Magneto to watch along with the video instruction.